When I hear and read the term “open borders,” I conjure up a definition of, well, totally open borders. They are borders without guards carrying weapons, without any surveillance, without any restrictions for those seeking to cross them. Yet the political climate has been poisoned by rhetoric that alleges Democrats across our country favor “open borders.” The Republican demagogue in chief, Donald Trump, is leading the chants against Democratic Party loyalists, contending they favor no restrictions on immigration. So help me, I haven’t heard a serious politician say anything approaching what Trump and other demagogues are suggesting. They aren’t saying that we take down the Border Patrol stations, letting anyone walk into this country unrestricted. What these so-called “open border” proponents are saying is they don’t want to build a wall along our nation’s 2,000-mile southern border. They contend it is too expensive, too unwieldy, too fraught with legal difficulty as the government seeks to condemn private land. 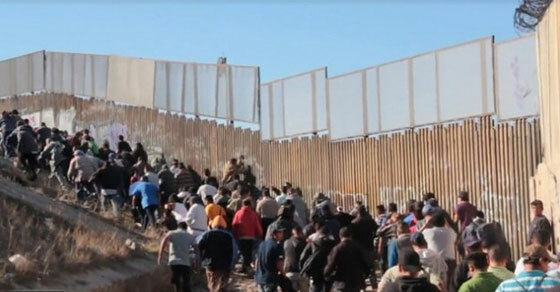 They aren’t favoring “open borders.” I am one who opposes the wall but supports strengthening border security using lots measures available to us: more Border Patrol personnel, more drone aircraft, greater surveillance technology, more support for state and local law enforcement agencies, rapid deportation policies. Open borders? That’s the stuff of demagogues.